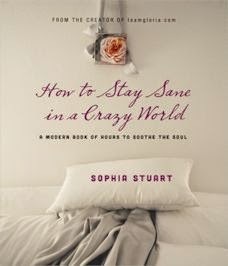 How to Stay Sane in a Crazy World - A Modern Book of Hours to Soothe the Soul, is a book written by Sophia Stuart, the creator of teamgloria.com. Sophia lived a crazy life with no true relaxation. Soon Sophia found herself in front of a surgeon who told her that she had three tumors in her throat that needed to be removed, and that she needed to take at least a month of medical leave to recover. This is when Sophia's world seemed to come crashing down on her. How to Stay Sane in a Crazy World gives us a little glimpse into Sophia's life, her journey, her struggle to get through her trial of heath issues, as well as tips on how to take care of ourselves better. Sophia also shares her beautiful photography of photographs taken during her day to day life as well as her travels abroad. The photographs are absolutely beautiful, calming, and relaxing. Sophia's book, How to Stay Sane in a Crazy World, is broken up into three sections. The first section, "Morning" the reader is given ideas to inspire us for the day ahead. The second section, "Afternoons" we are given fun tips on how to enhance our lives and find more joy in our journeys. In the last section, "Evening" we are given ideas on how to exhale, unwind, and leave the day behind. One of my favorite parts of the book were the lists in the back of the book that give you ideas on how to make yourself your own "Kindness Kit", movies, music, and book suggestions to help you while recovering from an illness or to simply help let life slow down for a while. At the very beginning of the book the author says, "During the Middle Ages women of noble birth would have a book of hours, a devotional object that gave them room to pause, to take a moment, to become spiritually refreshed." While pondering this idea the author thought that "perhaps a modern book of hours was needed: some beautiful images and a few carefully chosen words to inspire and soothe a troubled soul." I also like how the author said, "Please take time to look after yourself. Find the gloriousness in your everyday life. Relish the delightful sparks of inspirational magic. You are important. You matter." Sophia then encourages us to not wait until we get sick like she did to start taking care of ourselves. Overall I enjoyed this book and I thought that it was unique in its contents and structure. I appreciated the thoughtful ways that the author shared with us on how to better take care of ourselves. When I received this book to review in the mail I was going through my own health struggles. 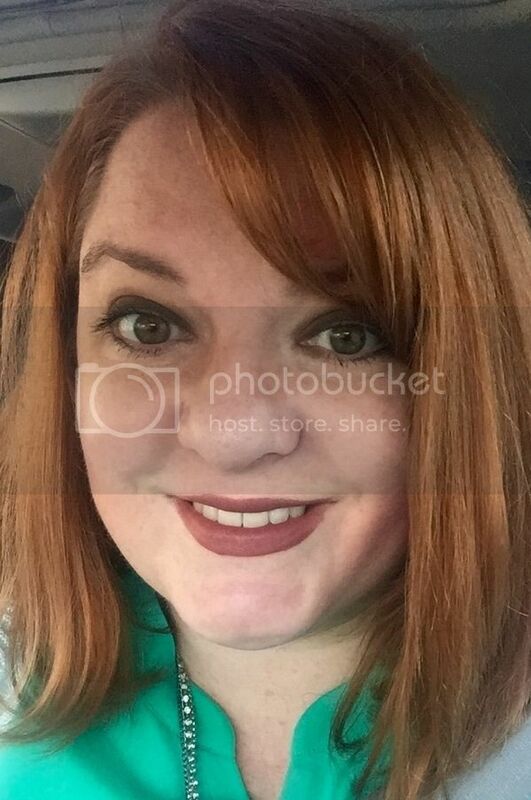 I went four months, from December to April of this year being incredibly ill, going from doctors appointment to doctors appointment, seeing specialists, having several major tests done, and being confined to a bed while my husband had to take on being Mr. Mom to our two young daughters. To say this was a trial would be an understatement. I had many moments of sadness and frustration as doctors couldn't figure out what was going on with me. I didn't like seeing and feeling my body deteriorate. I didn't like hearing my sweet daughters ask if I was ever going to get better. I didn't like seeing the extra stress it caused on my husband as he was trying to take care of me, the girls, the house, and still focus on his work. I felt bad and helpless having to just take a step back from life and watch it move on without me. So, reading this particular book at the time I read it couldn't have been more perfect timing. It made me realize that I didn't have to feel so guilty about basically having to check out of life for a little bit, that sometimes we have to take care of ourselves, sometimes we have to focus on our own well being not just the well being of those around us. That is not being selfish or self centered, it is taking care of the beautiful gift God has given us called life. I am happy to say that I have almost made a full recovery from my illnesses. Some of my health issues will be an ongoing battle the rest of my life, but to have a light back in me again, as well as hope, and happiness emerge, I will take that any day. My only thing I would like to have seen a little more of in How to Stay Sane in a Crazy World would have been more of Sophia's writing, a little more substance to balance the gorgeous photography. The author has such a wonderful writing voice that I would have loved to have heard more of it. With that said, I do think that this book is a sweet book, full of positive affirmation, encouraging thoughts, and wonderful tips. Want to find out more about Sophia Stuart? You can click here to go to her Pinterest page, click here to go to her Twitter account, and click here to go to her website. To purchase your own copy of How to Stay Sane in a Crazy World - A Modern book of Hours to Soothe the Soul you can click here to go to Hay House Publishing or click here to be taken to Amazon. FTC Disclosure: I received this book for free from Hay House Publishing for this review. The opinion in this review is unbiased and reflects my honest judgment and opinion of the book. This "How to Stay Sane in a Crazy World Book Review" first appeared on my blog, Artistically Shauna, on May 25, 2014. Thank you for your kind, thoughtful review. It meant a lot to me. Especially since you also have firsthand knowledge of the loneliness and pain and sadness of illness yourself. Hope you're taking a nice long time to get to a new state of wellness.